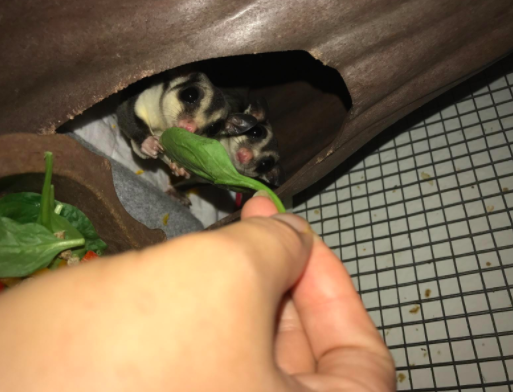 Even the tiniest critters deserve some holiday treats. 1. 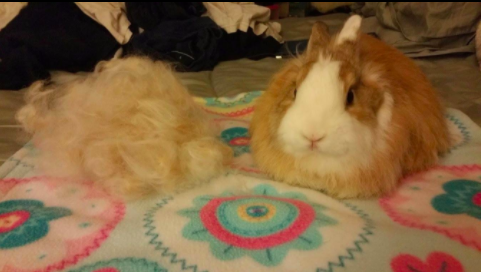 A subscription to the Happy Bunny Club, for monthly surprises that'll make both you and your bun happy. Get it from Cratejoy for £22+/month (around $29 USD); ships worldwide from the UK. 2. 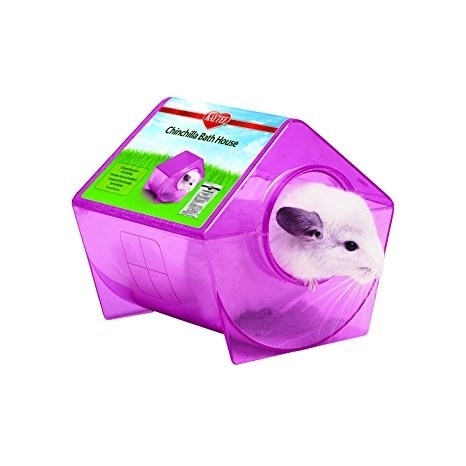 A plush ferret cube that chinchillas, rats, guinea pigs, and other small animals will adore burrowing in too. Get it from Petsmart for $14.99. 3. 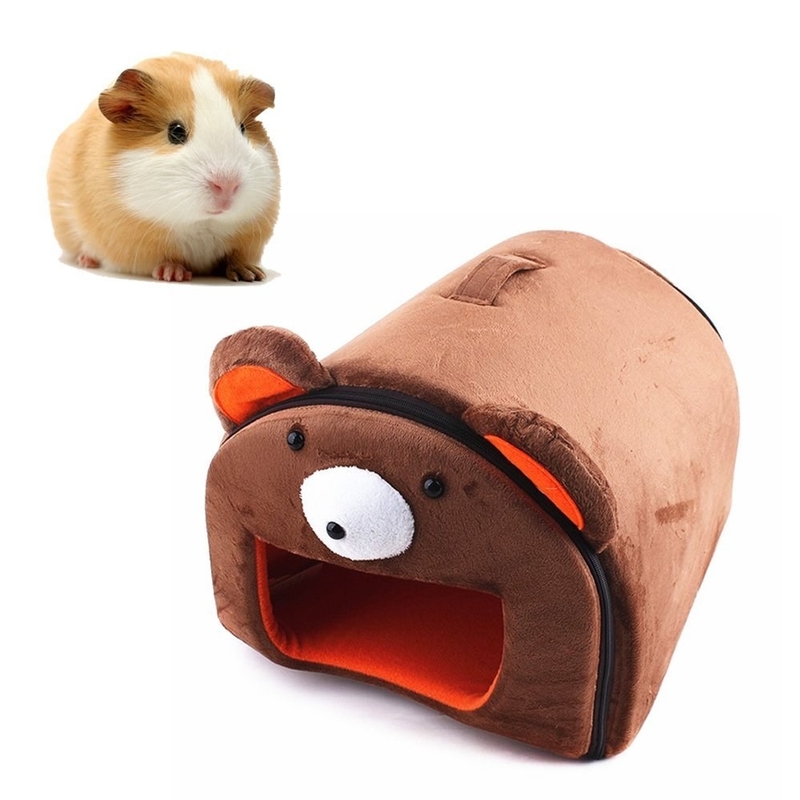 This small-animal bed guaranteed to make your already-adorable pocket pet look 100 times cuter while they're chillaxin'. Available in brown, yellow, and white. Get it from Amazon for $16.99. 4. 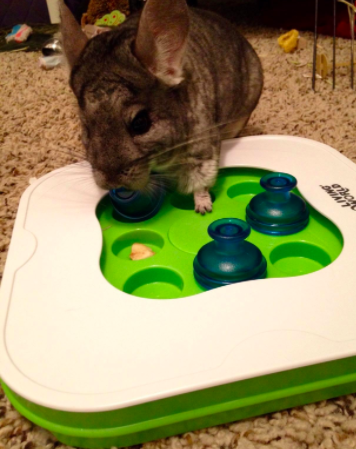 A brain teaser toy that requires your lil' furball to use their noggin in order to be rewarded with treats. Get it from Amazon for $13.82. 5. 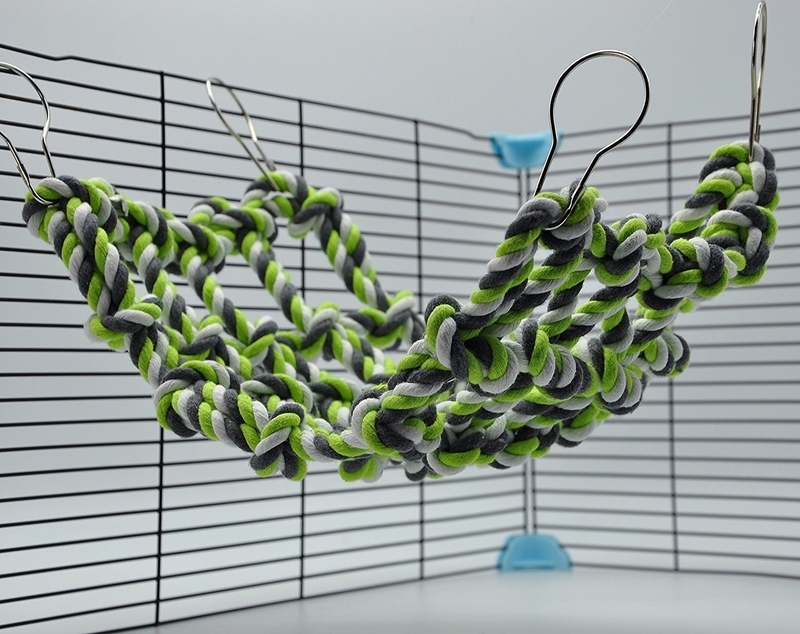 An activity net to get your adventurous critter movin' and shakin' — and help prevent overgrown nails. 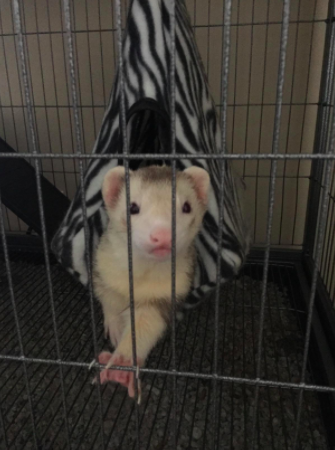 Promising review: "This is a treat; my ferrets are absolutely crazy, and live for climbing. This is the perfect solution. There are tons of different toys out there, but I feel like there is a serious lack in actual 'climbing toys.' 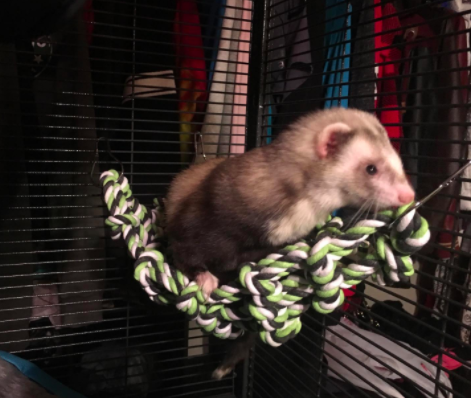 With this, my ferrets can climb around and play some tug o' war. Even my dog wants in on it! 6. 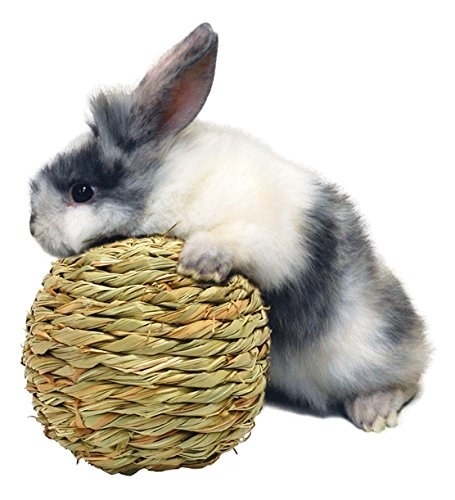 An organic grass kit so you can grow an all-natural treat that your rabbit, guinea pig — or even reptile — will love chowing down on. Promising review: "Excellent seeds, and product. They sprouted fast and within five days the grass is 6 inches tall. Will be purchasing again. Love the cat mug as well." —Matt M.
7. A Santa suit for the guinea pig who really knows how to get into the holiday spirit. Get it from Petsmart for $4.50. 8. A grass ball they can roll and toss around to keep 'em busy all winter long. 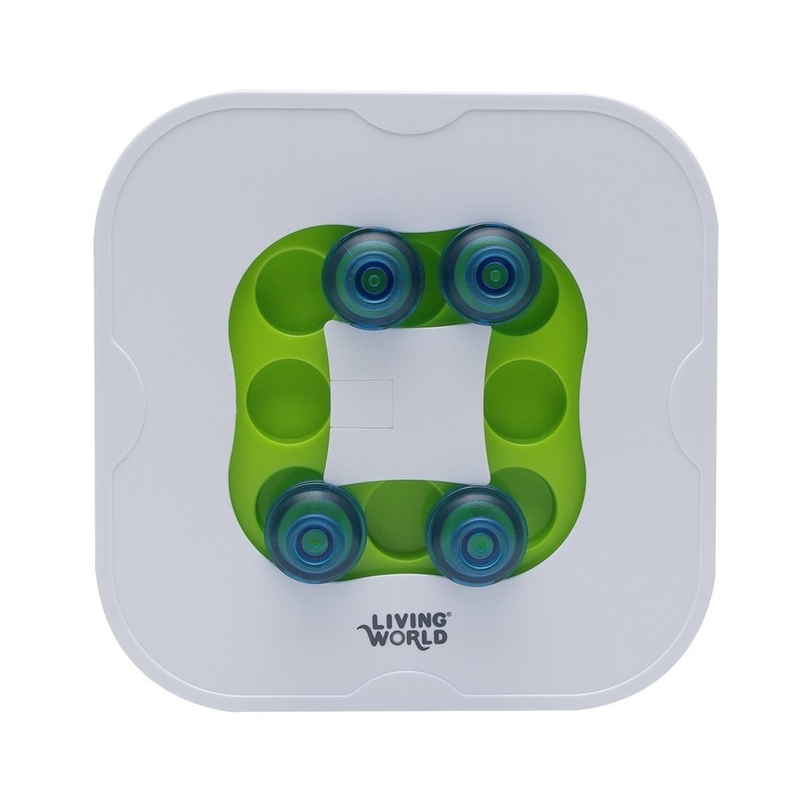 Promising reviews: "My little man loves playing with his grass ball. He made a hole on one side so I put a couple of nuts inside and he rolls the ball and gnaws on it trying to get them. Keeps him busy for a while. He's happy which makes me VERY happy!" —J.B. Get it from Amazon for $3.69. 9. 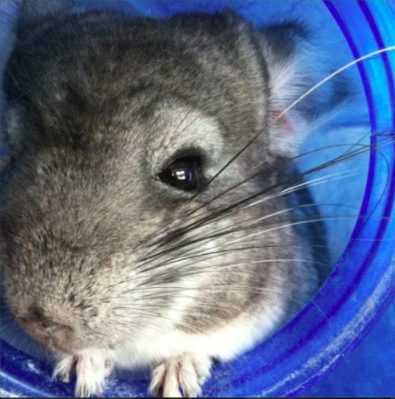 A jar of top-rated chinchilla dust for a bath that'll leave your lil' furball looking and feeling sparkling clean. 10. And a bath house to bathe in privacy, of course. 11. A ridiculously adorable cupcake-shaped mineral chew that your pet will love gnawing at as much as you'll love watching them. Get it from Petsmart for $2.49. 12. A harness that'll give your house rabbit a (safe) taste of freedom in the great outdoors. Available in five colors. Get it from Amazon for $7.95. 13. 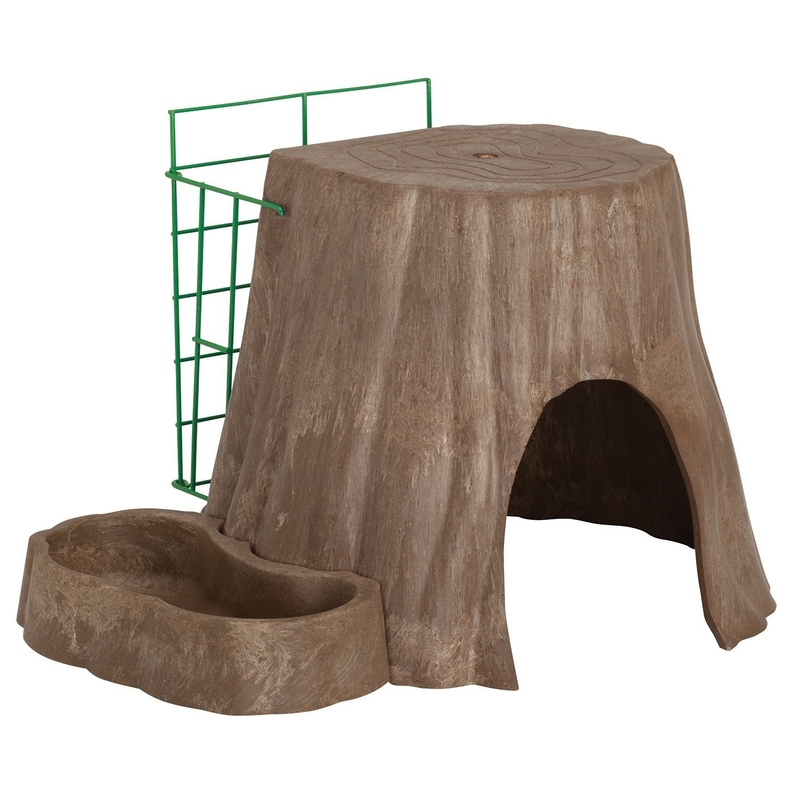 The "tree of life" — a pet habitat, hay feeder, and food dish all in one that will indeed help your critter live their best life. Get it from Amazon for $14.08. 14. 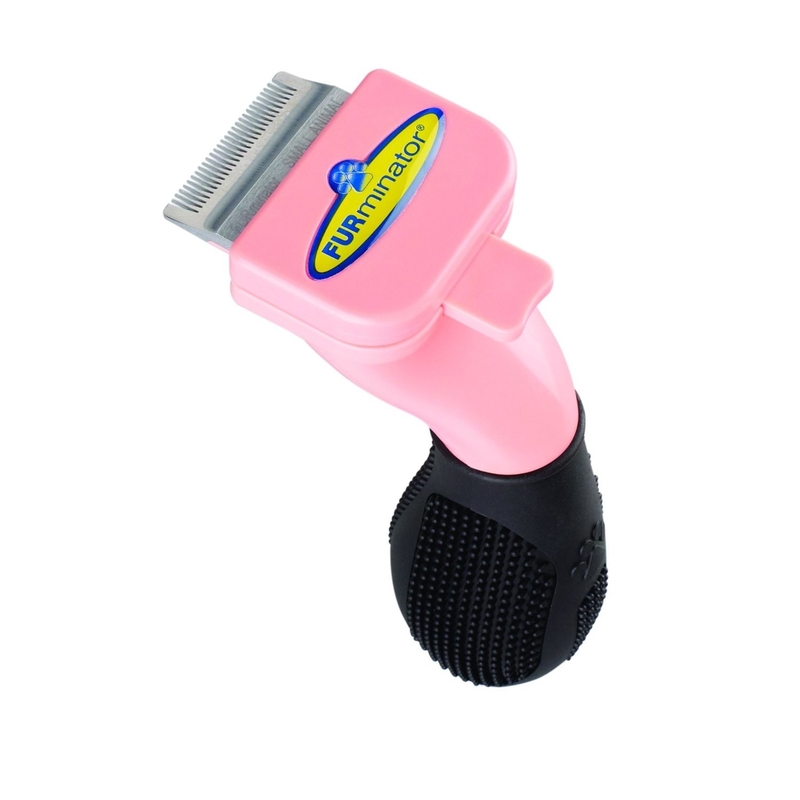 A Furminator de-shedding brush specially designed for small animals, which can help prevent both hairballs and a hairy home. Get it from Amazon for $25.24. 15. A ball-pit toy that'll make your ferret say, "Where have you BEEN ALL MY LIFE?!" Get it from Chewy for $16.46. 16. A crinkle tunnel for the pocket pet who lives for adventure. Get it from Petco for $5.99. 17. 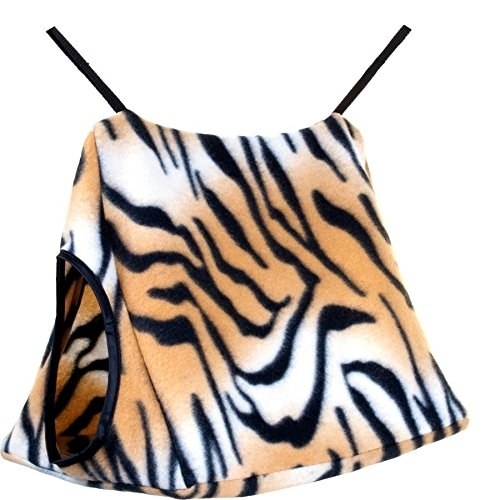 A heated pad to keep your lil' guy or gal warm and cozy when the temps drop. Get it from Petsmart for $29.95. 18. 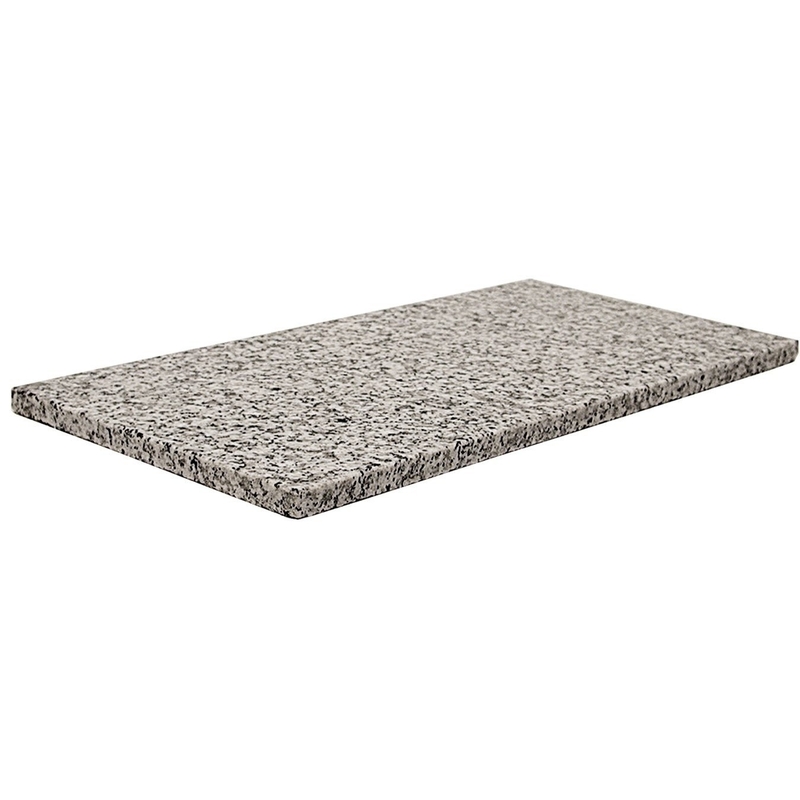 Or a granite stone, to keep the warm-climate critter feelin' cool all year long. 19. 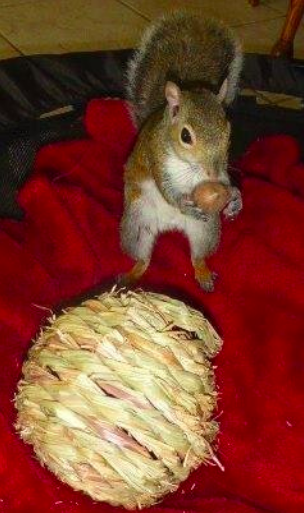 A durable edible activity log that's one part chew toy, one part hideaway, and all parts "gimme this now" for your pocket pet. Available in small and large. Get it from Petsmart for $5.29+. 20. A chew-proof and tipping-proof ceramic dish that's as cute as it is durable. Get it from Petco for $2.99. 21. A hanging tent sleeper, for the critter who deserves to lounge in style. Get it from Amazon for $9.08. 22. The tiniest burger and fries that'll satisfy your fuzzy lil' companion's urge to chew while keeping them entertained. Get the set of two chew toys from Petsmart for $2.99. 23. 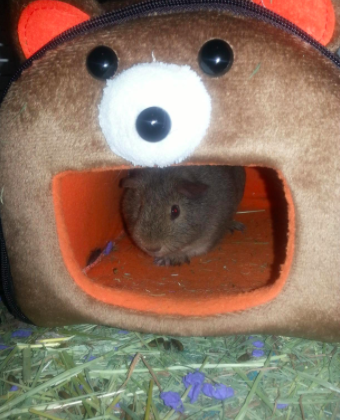 A tiny shack that'll give your hamster, gerbil, or mouse some much-needed me-time. 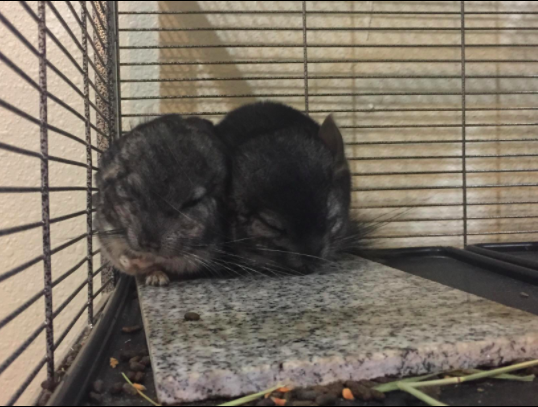 Get it from Petco for $7.29. 24. A stocking-stuffer-friendly four-pack of carrot sticks your bun will love nibbling on whenever the real deal isn't available. 25. This octopus hideaway toy that your ferret needs immediately. Get it from Chewy for $16.99. 26. And a play pen you can use indoors or out that'll give your pet some room to get out all their energy in a safe, contained space. Get it from Chewy for $9.14.